During the Private Charter by the worlds largest RIB we will show you the bays with the crystal clear water and staggering cliffs of Los Gigantes. Heading then towards the island’s west coast and its solitary coves, we visit the dramatic scenery of Masca Bay and set anchor, where you can enjoy a nice refreshing swimming in the crystal clear ocean!! Whales and Dolphins are not guaranteed on this excursion! Free Wi-Fi on board! Max. speed – 100 km/h! The boat could be chartered for you or a group of your friends or families (up to 25 persons). Boat charters by OPERA-60 worlds largest RIP starts from Puerto Colon every day, the time to be agreed. The boat stuff speak English, Spanish and a few other languages. In order to make your booking of OPERA 60 R.I.B. 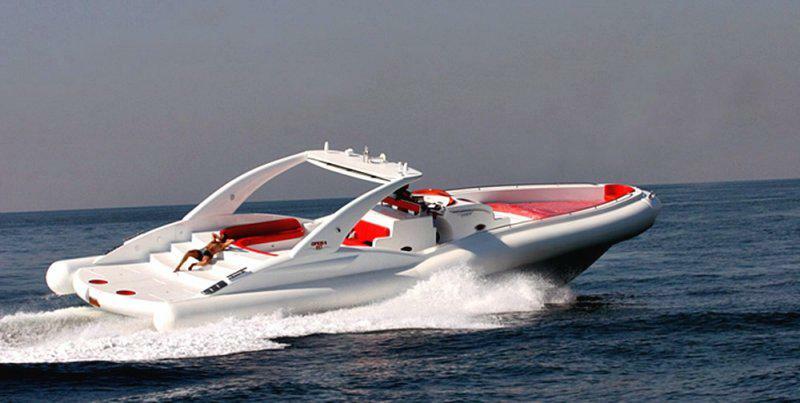 Boat Trips, Private Charters easy and comfortable Tenerife Host use the most advanced and user friendly booking platform TripsPoint.com where you can easily check last actual prices, the tour availability, required booking deposit and book this tour. To get more information of OPERA 60 R.I.B. Boat Trips, Private Charters and do booking, please, click the button ‘Book Now’. You will be taken to the tour page at TripsPoint.com where you can easily book the tour. Once the booking of OPERA 60 R.I.B. Boat Trips, Private Charters made at TripsPoint you will get your tour Voucher / booking confirmation with all details, including exact pick-up point, pick-up time and map. 2, 3 or 4 hours.